ET (evapotranspiration) is the water evaporated from the ground back to the atmosphere both as transpiration from the leaves of plants and as direct evaporation from open water and soil. Area Description - The habitat of Sherilton Valley is broadly described as Southern California Chaparral. To be more specific, it's a valley in the Cuyamaca Mountain 'water shed' and it includes hillsides of native plants, oak groves and pastures. We have stream bed vegetation along King Creek which runs seasonally through the valley. It's a transitional location that ranges from foothill to mountain elevations. 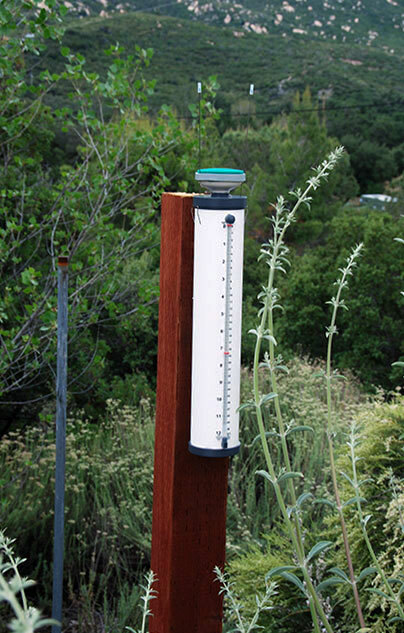 The ET gauge is at 3,383' where Santa Ana winds are common and we sometimes go months with little or no precipitation. The continuing drought has taken its toll. The water table is low, wells are struggling and many oaks have succumbed to disease and pests. Fire is our most immediate concern as the entire valley was burned in the 2003 Cedar Fire. 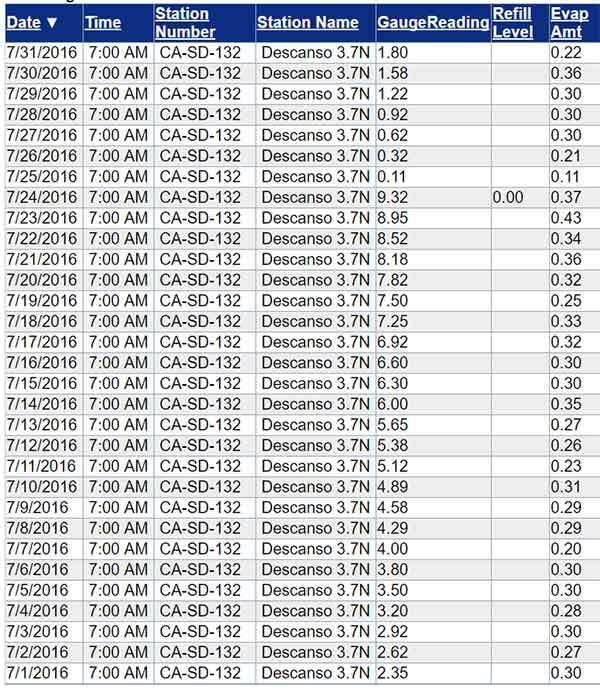 For years I monitored ET rates for our computerized irrigation system at SDSU. The gauge I'm using here is similar though the readings are taken manually (everyday at 7 AM) rather than electronically. 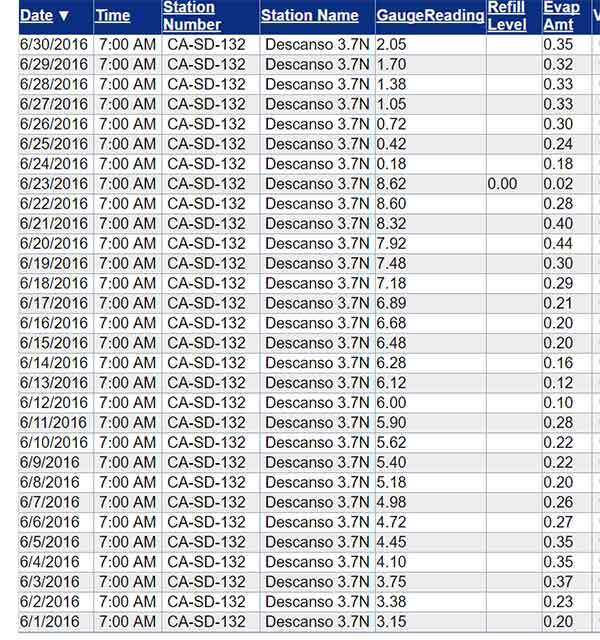 And in this case, instead of using the information to calculate irrigation schedules, I'm interested in monitoring the current drought as well as estimating brush fire danger. Water stress in the vegetation indicates a potential for combustion. Readings are posted and can be searched on the CoCoRaHS Evapotranspiration Report page.